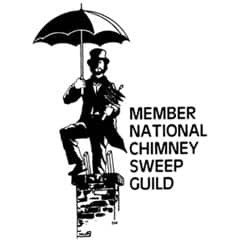 "I am extremely pleased with the work done for me by Ultimate Chimney Sweep. They did an 'artisans' rebuild of my chimney. I would recommend you to anyone, your work is professional. Thank you." Keep your chimney well maintained, or your heating system will be much less efficient or potentially hazardous. Chimneys are an integral part of your heating system and require regular maintenance and repair. Many different kinds of animals will take up residence in your chimney: raccoons, rodents, squirrels, birds and more. Removing Animals from your chimney can be humane and safe for all concerned. Ultimate Chimney Sweep can install a Raccoon-proof Stainless Steel Chimney Cap to prevent raccoons and other creatures from making your home theirs too. 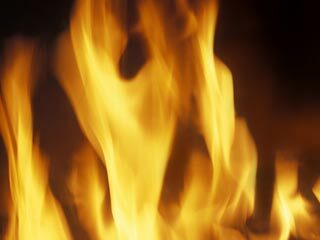 Creosote builds up with normal use of your fireplace or woodstove and should be removed from your chimney to prevent fires. Fires started by creosote build up in the chimney flue burn hot and fast. The flue is the internal piece of your chimney that removes the exhaust from your fireplace or woodstove to the outside. Flues can become damaged or blocked over time. The flue is where you will have the creosote buildup, a fire hazard. Ultimate Chimney Sweep can clean, repair or replace your flue to minimize the risk of fire. The firebox is the brick area of a fireplace where your fire is built. Over time the mortar that holds the bricks together cracks. This mortar should be repaired to keep the bricks in place and is called repointing. The bricks prevent excessive heat from starting a fire. Ultimate Chimney Sweep restores deteriorating, unsafe chimney to full code complying condition quickly and economically. The Damper closes the flue to your fireplace when not in use. It prevents heat from escaping your home in cold weather and air conditioning from escaping your home in the summer. Ultimate Chimney sweep can repair or replace faulty dampers; which will lower your heating AND cooling costs.